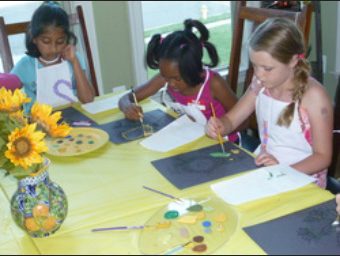 For children who want to treat their friends to a fun art lesson during their birthday party! OR for women--any age ;)--who want to do something different for their birthday. 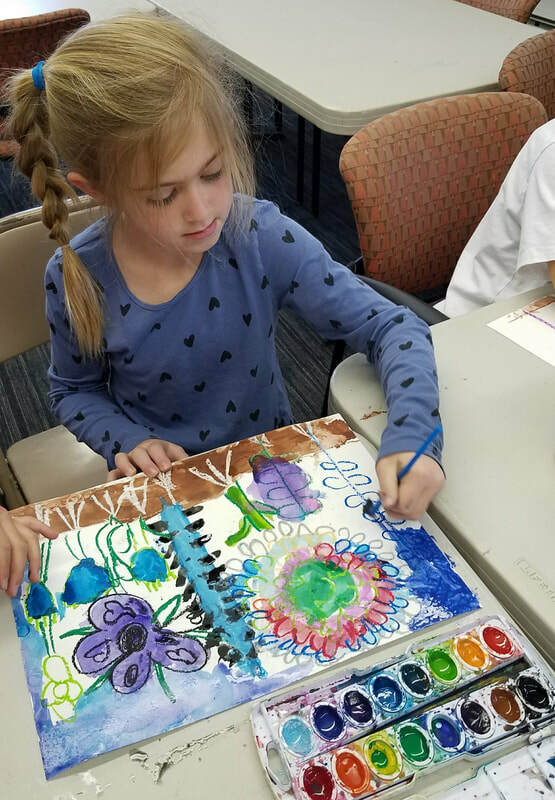 Everyone could do a piece...OR her friends will each do a part of her birthday art project and assemble it all together to make her gift! "Very Van Gogh" is one of our most popular themes. What a unique and memorable birthday experience! 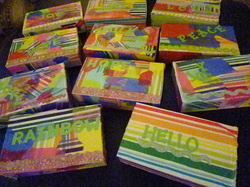 Personalized favors, invitations and thank you notes are available! Add-ons! 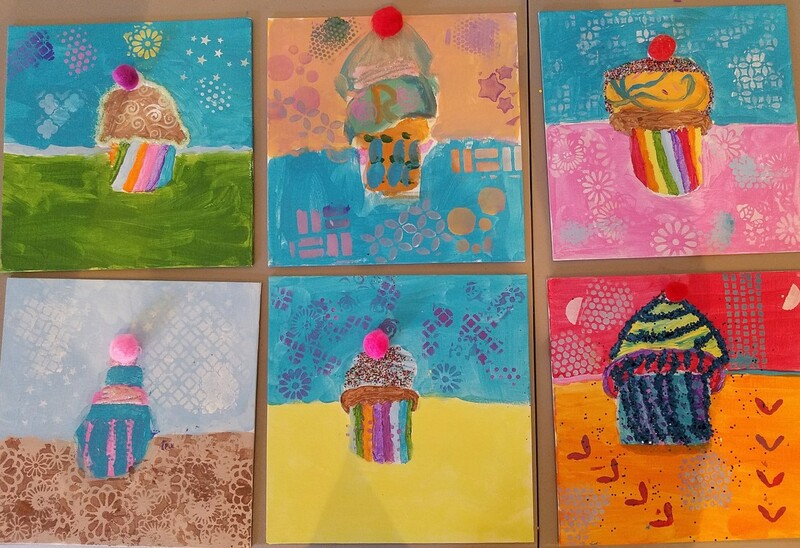 These are handmade invitations...mini paintings inside paint sets. 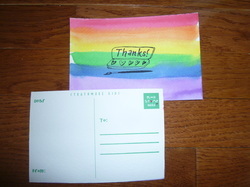 Another add-on: Hand-painted thank-you notes! $10 per each additional participant. 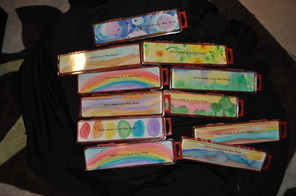 Add-ons are available, including handmade invitations, favors, thank you notes, etc.